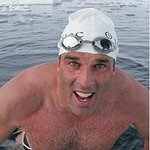 Lewis Pugh is a British environmental campaigner, maritime lawyer and pioneer swimmer. He is a Patron for Oceans for the United Nations Environment Programme. Google trends for "Lewis Pugh"
We don't have any videos related to Lewis Pugh.